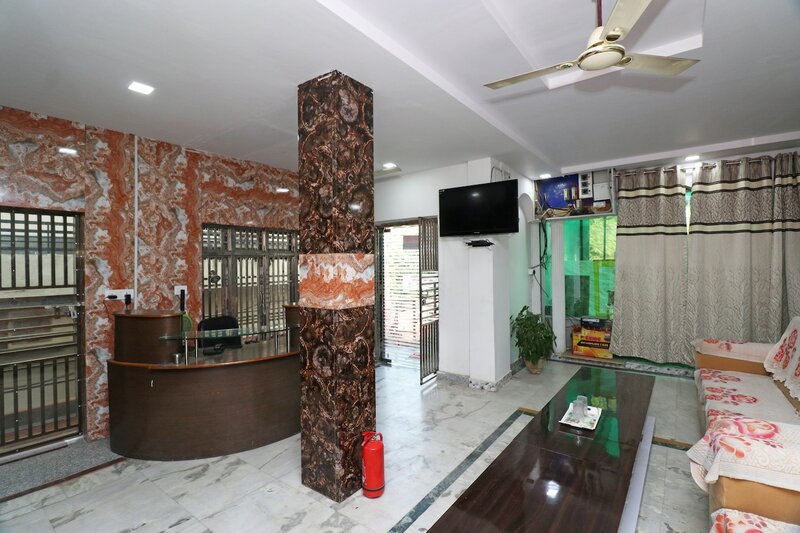 Hotel Raj Shree is a fine accommodation located in LDA Colony near Kanpur Road. The rooms are well-lit and spacious. Enjoy a pleasant stay with the provision of comfortable wooden furniture and premium services. There is a sofa also in the room which can be used as an extra seating space. Various basic amenities are offered in the room for a carefree stay. Guests can use free Wi-Fi service to stay connected with social media or catch up with work. The presence of CCTV cameras in the premises ensures the security of your stay here. Power backup facility is also available here. Baudh Vihar Shanti Upawan, Chattar Manzil and Picture Gallery are some of the attractions located nearby which can be explored by guests. Shree Raj Bhog, The Marigold- Fine Dine Restaurant and Kathi Castle are some of the eateries located at a short distance from the hotel for guests to enjoy tasty treats.